Tag Archive | "Algoma Township Fire Department"
A fire in the median of US131 Tuesday was quickly put out by Algoma Fire Department. Post photo by L. Allen. a Kent County Road Commission bobcat caught fire in the median of US131. The Algoma Township Fire Department responded to a fire in the median of US131 Tuesday afternoon, south of 17 Mile. 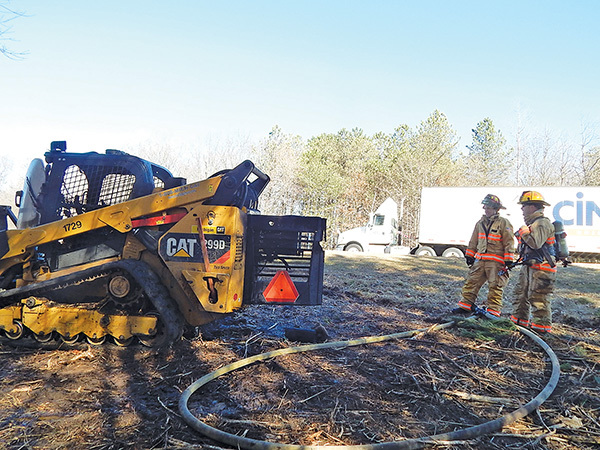 According to Algoma firefighter Chris Kutzli, when they arrived on scene they found a Kent County Road Commission bobcat, fully engulfed in flames. 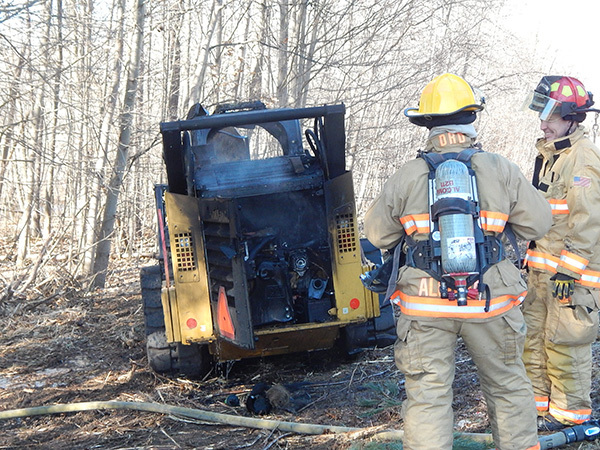 The fire was coming from both the operator’s cab and the engine compartment. “We hooked up one hose line to the engine and put out the fire in about 10 minutes,” said Kutzli. 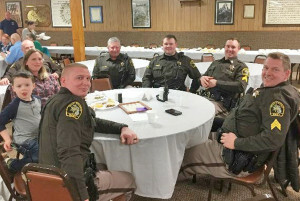 He said that the operator was clearing excess brush from the median in preparation for the upcoming road construction project when the warning light came on, saying that the engine was overheating. When he opened the engine compartment, he saw the fire. The actual cause of the fire is unknown. October was Fire Prevention Month. 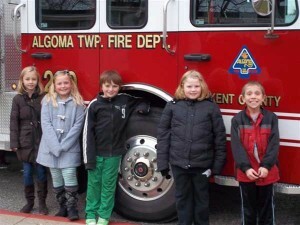 Algoma Township Fire Department stopped by Beach Elementary to talk about Fire Prevention and encouraged the kids to talk with their families to make a plan in case of emergency. On Tuesday, November 22, nine students at Beach Elementary had the opportunity to have lunch with the Algoma Township Fire Department. All second and third grade students were asked to make a fire escape plan at home and then turn it in to their teacher. A drawing was held, for students who turned in their fire escape plan, to select students who would participate in the luncheon. A huge thank you to the firefighters for a great lunch!